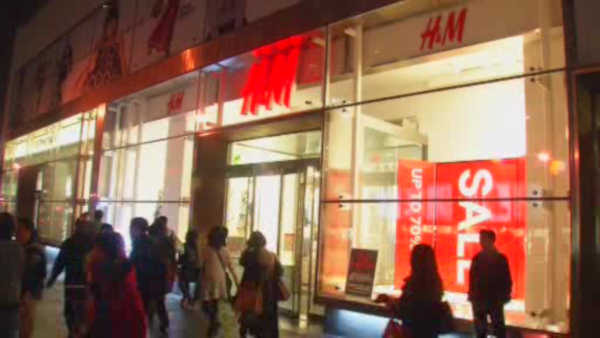 UPPER EAST SIDE, Manhattan (WABC) -- Police are searching for an armed robber who held up an H+M clothing store on the Upper East Side. The robbery happened shortly before midnight Saturday at the H+M on East 86th Street. The store was closed at the time, but its door was unlocked. There were five employees who were inside at the time. Police say the robber displayed a gun, and demanded a bag full of money. He made off with about $8,000.